The raw material used in the manufacturing of products are tested stringently by the experts to make certain that the final product is of premium quality and free from any kind of defect. Consider our name for purchasing top-of-the-line quality Biodegradable Oval Bowl at competitively low prices. 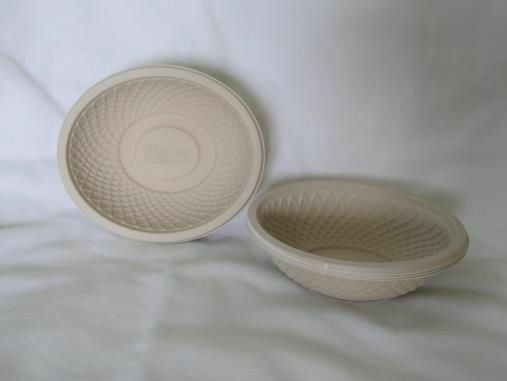 We supply 110X95X32 mm Biodegradable Oval Bowl, which is manufactured with great excellence, hence is quality assured.